Everyone usually loves their Apple computer products. They are easy to understand and work well most of the time, but when there is a problem, getting technical assistance and support from Mac Smart is your best option. Whether you use you an Apple computer for business or personal enjoyment, our professional team is ready to help! We understand that you rely on your Apple computer and love the opportunity to help you fix your technical issues. Mac Smart is happy to meet any of your Apple computer technical support needs, but if you’re having one of these common problems, you may be able to fix them right away by reading more! Forgotten Password – If you’re having trouble logging in to your Apple computer, the first step is to carefully retype your password a few times to ensure that you’re not simply mistyping it. If this doesn’t work, you have options depending on the age of your Mac. find your original installation disk and insert it into your Apple computer. Hold down the C button to restart your computer. Choose your language of choice and select Utilities – Reset Password in the menu bar. Just follow the directions from there! Restart your Mac and before the chime sounds, hold down ?R to boot from the Recovery Partition. When the menu appears, select the Utilities from the top menu and select Terminal. Type resetpassword, followed by the Return key. It’s that simple! Devices/USB Port Recognition Problem – We know it can be frustrating when your Apple computer is not recognizing your plugged-in devices. Before doing anything else, reboot (restart) your computer. It’s amazing that rebooting the computer solves so many problems and should be the first thing you do with most issues. If that doesn’t work, try updating your operating system by checking the Software Update and Apple Support downloads page. Although we provide an array of different technical assistance and support services for Apple and Windows computers, Mac IT support is our most popular service. We deal with the MacBook, Mac Mini, iMac, Mac Pro Server and more. Whether you run a large business or a small household, Mac Smart is ready to solve your IT issues. Our experienced team provides Mac IT support, maintenance and troubleshooting as well as computer, server and networking installations. We also help customers with general troubleshooting, VPN configuration, resource sharing service, mobile device management, backups and data recovery. For businesses, our domain hosting, mail and internet-based support are unmatched. Our experts can provide imaging SOE deployments and ensure the efficiency of your system through various techniques. We can also keep all of your computers up-to-date with upgrades without shutting them down during the workday. If you’re running into another Apple computer technical issue, please contact us for help! If you’re like most Apple-product owners, you place a high value on the entertainment and productivity value you experience from your iPad 4. Don’t let constant technical issues take away from your enjoyment. Our team at Mac Smart wants you to get the most out of your iPad 4. We have the experience and tools necessary to make your iPad 4 the reliable high-performing device you need. Although it may seem simple, sometimes a simple reboot can solve more problems with your iPad4 than any other troubleshooting step or application. Rebooting can help improve performance speed and solve app issues. Unfortunately, many people confuse the “Suspend Mode” for a true reboot. To reboot your iPad 4, just press and hold the main “Sleep/Wake” button until you see a prompt and slider appear on your screen. Follow the prompt and wait as your screen goes blank. After a few seconds, press and hold your “Sleep/Wake” button again until the Apple logo appears. Your custom home screen will load shortly. If you type a lot of emails on your iPad 4, it is very helpful to know the shortcuts and auto-correct functions on the device. One simple time saving function is the automatic apostrophe. When typing contractions such as “wasn’t” or “didn’t” you can skip the apostrophe. Your iPad 4 will automatically add it after you hit the space bar. Nothing is more frustrating than a dead iPad 4 battery when you need it. Get the most out of your battery life by turning down your display brightness. Go to your “Settings” menu choose “Brightness & Wallpaper.” As you move the slider to the left your screen will dim. The brighter your display, the more battery power you will use. For more complex iPad 4 help and technical support, feel free to give us a call or email. Our team will be happy to solve any technical issue that is slowing you down. From initial set-up to apps, syncing and more, Mac Smart can help you get the most out of your iPad 4. From the first days of the Apple Computer Company in 1976 to the advanced technology of today, the powerful brand of Apple has lived through an interesting history. Steve Jobs, Ronald Wayne and Steve Wozniak started the company out of their garage with a dream of building the perfect personal computer. The rest, as they say, is history. Although the first Apple computer would seem like an antique by the standards of today, it represented a big step in the history of the personal computer. The Apple I was built by hand in a garage by Wozniak and Jobs. It was first introduced in Palo Alto, California at the Homebrew Computer Club. In 1976, the Apple I became the first all-in-one computer that allowed users to display text without extra circuitry. The Byte Shop, an early computer retail shop, sold over 200 units. The original Macintosh personal computer was really the product that helped Apple take off. The first Mac represented a change in the computing industry as it allowed everyone to own the power of a computer. When it first arrived, very few people actually knew how to use a personal computer, so Steve Jobs made sure that the interface of the Mac was as simple as possible. This simple interface was known for its friendly appearance and even presented a smiling greeting to the user. The organisational structure of the Mac included folders that actually looked like file folders and a trash can image that made deleting things simple and user-friendly. The development of the mouse allowed users to move things and manipulate graphics like never before. It resulted in a new era of creative design and productivity in computing. 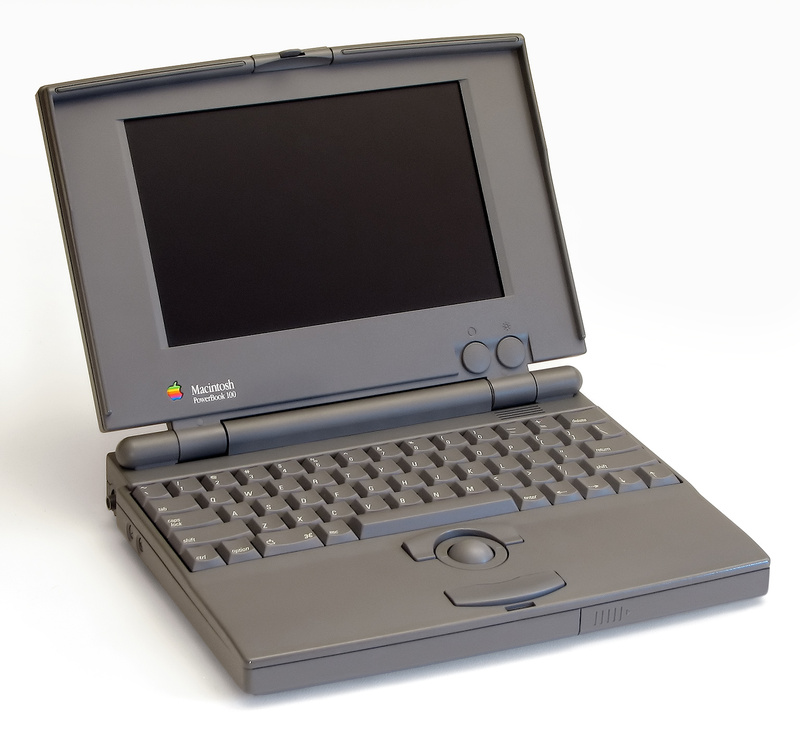 After the failed introduction of the Macintosh Portable in 1989, Apple learned from its mistakes and introduced three new “Powerbook” computers in 1991. When the Powerbook 100 Series first hit the market, they caused quite a stir in the design community. The 100, 140 and 170 all offered stylish casing, efficient keyboard positioning and a “trackball.” These were the first notebook style computers to place the keyboard directly next to the display, leave enough room for palm rests and position the trackball effectively. These design innovations created the standard for what notebook computers are today. In 1998, Apple introduced the first iMac and it quickly became the best-selling PC in the United States. The completely self-contained unit required very little set-up and even included a handle for easily moving it around. For those who didn’t know a lot about computers, the iMac was extremely appealing as it eliminated the tangle of cords between the computer and monitor. The overall design of the PC was also easy on the eyes. When placed in the retail stores, the teal iMac’s sleek mouse and translucent body stood out among beige desktops. Apple introduced a second generation one year later that came in five different bright colours. The iMac was responsible for Apple’s enormous growth during this time period. When Apple debuted the iPod in late 2001, no one could predict the consumer mania that would follow. Whether you bought one or not, the iPod began a revolution in technology, design and music. The iPod was originally priced at $399 and featured an innovative interface, quick downloading capability and enormous storage capacity for its size. It is no surprise that the iPod quickly became one of Apple’s top-selling products. In fact, it really created a new market of its own. At a time when technologically savvy consumers were dealing with the fall of Napster, Apple introduced an almost perfect substitute. The commercials for the iPod became so popular that the younger generation actually used the iconic black silhouettes with white ear buds as a popular Halloween costume. As of September 2012, over 350 million iPods had been sold worldwide. While the iPod’s huge success continued, investors and techies started wondering when Apple would enter the competitive smart phone market. 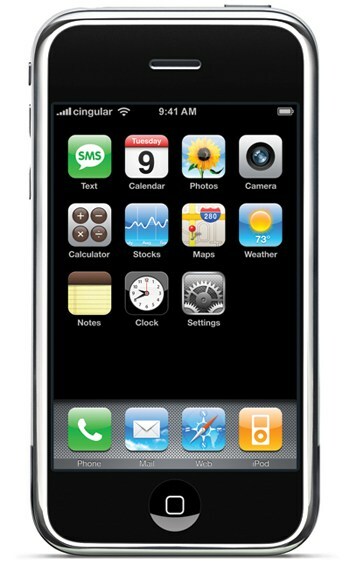 Apple first announced the iPhone in January of 2007, but did not release it until June 29th of the same year. The iPhone gained immediate popularity with numerous rave reviews. It even took the title of TIME magazine’s “Invention of the Year.” By the end of September, Apple had already sold approximately 1.4 million iPhone units. Although the original 8GB iPhone sold for $599 in America. It was quickly dropped to $399 just two months after its initial release. In 2008, the iPhone 3G was introduced at a price of $199 with a two-year contract with your mobile phone service provider. This price made the power of Apple’s iPhone accessible to almost everyone. Apple’s long and unpredictable history continues to intrigue even the most experienced entrepreneurs, investors and tech-savvy consumers. Its enormous growth in a short period of time was quite impressive. The company has managed to maintain its power through recent economic downfalls and the death of Steve Jobs. With the constantly changing and quickly adapting world of mobile technology, no one knows exactly what the future might hold for this technology giant. If you’re running into any Apple computer technical issue, please contact us for help! Apple’s line of iPad products continues to lead the tablet market. Over 100 million iPads have been sold worldwide, and the iPad 3 represents a large share of those sales. Although the success of the iPad 3 and other iPad products is very impressive, Apple’s iPad 3 does have its flaws and potential problems. Mac Smart can help you with any issues that may arise with your iPad 3, but if you’d like to try your luck first, here are some common issues that we see. To gain access to all of your media, your iPad 3 should easily sync with your iTunes library. In some cases, iTunes doesn’t seem to recognise the user’s iPad. This means that the user cannot access any of the media in the iTunes library. If you think you may have this problem, there are a few tricks that might help solve it. First, look at your iPad 3 battery meter when you plug it into the computer. A lightning bolt or a “Not Charging” icon should appear. If neither of these appear, try another port or another cable. Also, make sure that you are running the latest version of Apple iTunes. Click “Check for Updates” on the help or iTunes tab. You can also try turning both your computer and your iPad 3 off before trying again. If all else fails, unplug your iPad 3 and uninstall your iTunes program. Then, reinstall the program and plug the iPad 3 in again. Many users have found that connecting to Wi-Fi on the iPad 3 can be difficult at times. If you are having trouble connecting, move closer to the router before you try anything else. Sometimes the router signal is simply too weak to travel as far as you thought. Also check your “Settings” menu to ensure that your Wi-Fi is turned on. If neither of the first simple steps fix your problem, turn your iPad 3 off and restart. You can also restart your router. You can also prompt your iPad 3 to erase the network by selecting the network name in the “Settings” menu and choosing “forget.” Restart your iPad, reconnect to your network and input the necessary information again. It is also important to ensure that you have the latest iOS software and that your router is working properly. In some cases, users struggle to get their new apps to sync to their iPad 3s. Sometimes the apps simply refuse to download, and this can be very frustrating. If you have this problem, check your memory usage first. You can do this by going to “Settings” then “General” then “Usage.” If your space is running low, you may need to delete another app or some songs before the new app can sync. Also, makes sure that you don’t have restrictions set on apps. Do this by selecting “Settings” then “General” then “Restrictions.” Restrictions can stop you from downloading apps. Also, as always, check to ensure that you have the latest software version available. If these don’t solve your problem, just give Mac Smart a call. We’d be happy to help! An iPad 3 is a significant investment that can be great for entertainment, relaxation and productivity; however, technical issues can block you from getting the most out of your iPad 3. The professionals at Mac Smart understand your needs and strive to keep your iPad 3 running at optimal performance. Just email or call us with any questions! Whether you just bought your first Mac or are one of Apple’s loyal followers, you need your computer to perform as efficiently and reliably as possible. At Mac Smart, we love helping you get the most out of your Apple investment. Our experienced staff can handle any iMac and Mac OS X technical support or guidance you need. Although you can still use your iMac without them, shortcuts save you a lot of time on the Mac OS X platform. If you’re just switching from a Windows-based computer, it can be a challenge to adapt. Try some of these useful shortcuts to get started! Some people really enjoy the Mac OS X Dashboard, but if it isn’t your thing, it’s actually pretty easy to turn off. Just open your Terminal application and type “defaults write com.apple.dashboard mcx-disabled –boolean true” and hit enter. You can then re-launch your dock by typing “killall Dock” and your dashboard will never bother you again. If you ever feel like your iMac is running slowly, you can give us a call at Mac Smart or, if you’d rather handle it on your own, there is a helpful app called “Activity Monitor” that lets you see what is going on with your computer. This app is located in the “Utilities” folder. It offers columns of usage data for individual processes and tells you how much memory your iMac is using. Once you find an app that is causing problems or taking up to much space, just click on the “Quit Process” button to shut the app down. If you use your iMac at the office and fight for valuable printer resources with your colleagues, you can actually tell your iMac to print to the next available printer on your network. Go to “System Preferences” and click on “Printers and Scanners.” Choose which printers that you want your iMac to pick from so that, the next time you need to print something, you can simple select a printer from the pop-up menu. For technical problems and more in-depth iMac 4 help in Brisbane, please call us email us. Mac Smart takes pride in making your life easier and helping you get the most out of your iMac and Mac OS X technology. Although your iPad should always represent a great tool for both productivity and entertainment, technical problems can render it almost useless. Mac Smart believes that your iPad should work properly anytime and anywhere. Did you know that everyone in your home can share music from the library on your computer? Just turn on “Home Sharing” in iTunes and go to “Settings” – “Music/Video” on your iPad to enter your Apple ID. Launch the Music or Video app on your iPad and press the “More” button at the bottom. There should be a little house symbol that says “Shared” next to it. Press that button and then on one of the “Shared” libraries. It should only be a few seconds before you’re listening to all of your Library’s media. Those messages asking you to join Wi-Fi networks all the time can get annoying. To turn them off, go to “Settings” – “Wi-Fi” and turn “Ask to Join Networks” off. You can still join networks when you need to, but now it won’t pop up and annoy you. To avoid those embarrassing moments when you forget to turn your iPad volume down before a meeting, just hold down the “Volume-Down” button for a second. This is much faster than fumbling unlocking the device and then manually turning down the volume. For more complex iPad help and technical support, give us a call or email. There is no iPad technical issue that we can’t fix. From setup problems to syncing and app issues and more, Mac Smart- Apple Mac technical support gives you the peace of mind that comes with a well-maintained iPad. In the past an Apple Mac computer could be difficult to find in an Australian Home. Now thousands of Apple products occupy our homes and businesses. This overwhelming success of the Mac computer results in the need for exceptional Mac support. Brisbane residents are now demanding the best technical support available for their Apple products. After entering into the Brisbane market years ago, the Mac computer has had great success in Australia’s third largest metropolitan area. Until recently, Brisbane residents relied on three Apple retail stores for their products and basic support. In early 2014, Apple opened a brand new flagship store in the impressive MacArthur Chambers building. This means greater supply and ease of access for the consumers of Brisbane, but as more and more Mac computers enter Brisbane, Mac support is more and more essential. At Mac Smart, we believe that your electronic devices should work consistently to entertain you and make you more productive. We provide on-site Mac Support in Brisbane and remote help services worldwide. We understand that Brisbane has a love affair with the Mac computer and we want to make your experience of the product even better. Our reliable and personable staff really enjoy helping you with your technical problems. Although your Mac may typically make your life easier, sometimes a small technical problem can add unnecessary stress to your life and waste a lot of time. You should be able to access simple information on your Mac without entering multiple commands and tweaking the settings. We strive to make all of our client’s devices work together efficiently and effortlessly. When you expect information to be ready and accessible, Mac Smart will make sure that your Mac is ready. At our headquarters in Brisbane, our on-site Mac support services are the best available. Whether you represent a large corporation or just need your home computer to work better, Mac Smart commits to meeting your needs!